Knight and Dragon cross stitch pattern... 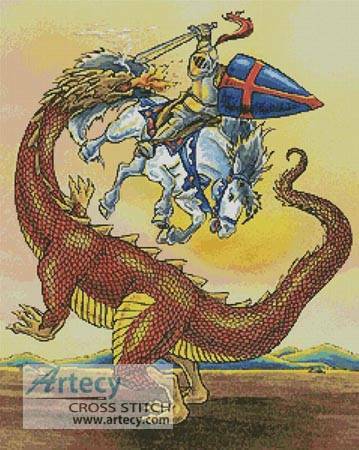 This counted cross stitch pattern of a Medieval Knight in a battle with a Dragon was created from clipart copyright of Dover. Only full cross stitches are used in this pattern.